Community Fundrasier - SAVE WILLARD'S CLOCK - THE TIME IS NOW. MAKE A DONATION TODAY. 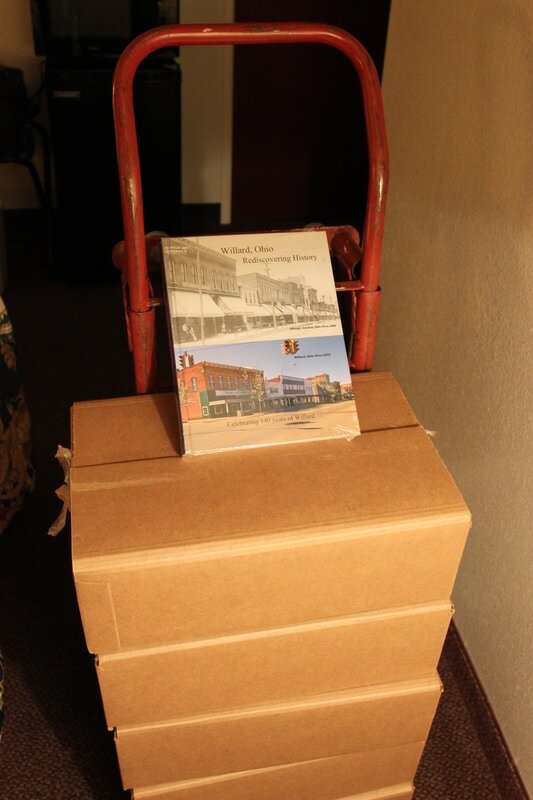 Our Willard Pictorial History book of Willard is here. It's 600 pages of Willard history. The people, buildings, farmers, land, toys, manufacturing, vehicles etc:. It is a nice coffee table book. Lots of nice compliments on the book from all over the country. Ask Rick, Kevin, Mick, Don Shrader, Don Leininger, Don Graham, or Ricky Branham for details. If you saw the Clock Plaza Magazine we put out last year, that will tell you the quality of this book. Thank you to the many Willardites from all across the country who have shared photos for this project.